Fantastic opportunity to own a well-maintained corner unit at the highly sought after “Village Condominiums” in Watertown. 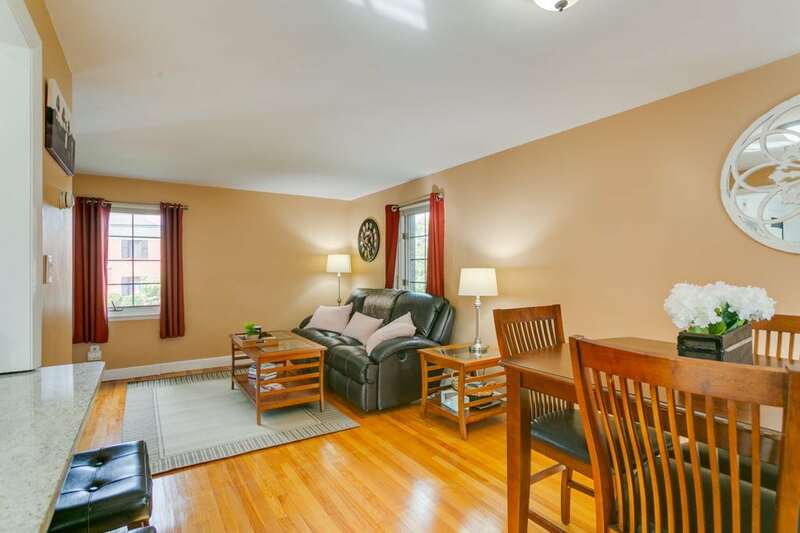 Three levels of townhouse living with the perfect balance of privacy and convenience. Main level boasts an open concept with flowing natural light, hardwood floors, and ample room for a living and dining area. Kitchen highlights include granite countertops, gas cooking, and great cabinet space. Two spacious bedrooms upstairs with a modern, updated bathroom featuring custom tile work in the shower stall. Make use of the lower level as your home office or personal gym area with additional storage available. Forced hot air and central AC via humidity controlled Carrier system. Enjoy on-site professional management, a seasonal in-ground pool just one block away, and a high owner occupancy rate! One assigned parking space included with quick access to MA Pike, Route 2, Waverly Commuter Rail (0.7 miles), and the nearby shops/restaurants of Watertown Square.